It has been a crazy couple of weeks for me, and those couple of weeks have had a lot to do with why I haven't been writing. The biggest reason this past week or so has been that I've been up at Scout Camp. I had a great time and had some interesting experiences that I will definitely be writing about, but that will have to wait. Today I find myself in a conference room in San Jose with some of the best brains in software testing. I'm at Test Coach Camp, which is an open space conference organized by Matt Heusser, Matt Barcomb and Doug Hoffman. I could probably write out every name of every test star in attendance, and rest assured, I will very likely do exactly that over the next couple of days :). We "dot vote" the sessions, and those that get the most votes become the session content. Ben Kelly: Good Testers don't necessarily make good coaches. Cem Kaner: As a University professor, I've seen that most testing training is ineffective. I think that the key is to design experiences and feedback for testers. As for me, I'm focused on three primary areas. 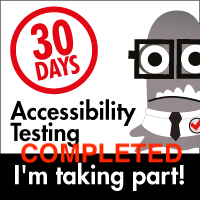 Since I'm a lone tester, I mostly manage myself and my own efforts in my day to day work. I don't actively coach in my day to day work. I do, however, coach in my role as a facilitator in Weekend Testing, as an instructor in BBST, and as a content curator for SummerQAmp. My goal, to gain from this conference, is to learn and talk about some of the challenges I have with these three spheres. 1. Having been involved in Weekend Testing now for two years, and facilitating for almost the same amount of time, I have seen both the benefits and the limits of the Weekend Testing model. To add a little controversy, and to consider different approaches... what if we were to rip the current model of Weekend Testing out by its roots and start again? What could we do to redesign how we deliver it and our goals in coaching other testers? 2. Since becoming involved in SummerQAmp, I've been asking a question often: how do we change our approach when we are discussing Software Testing with teenagers and young adults, people who are still very much trying to figure out what they want to be when they grow up? Even if they decide not to be software testers when they grow up, they can learn about the field and get an appreciation of it that they can carry with them in whatever endeavors they pursue. In short: how can we teach this topic to what is a young and impressionable audience? With the votes cast, and a schedule established, we had way more topics than we could cover, but some of the topics had common themes and we constructed sessions based around the comments everybody pitched. My proposed topic #1 didn't get enough votes (probably too specific), but proposition #2 blended in with several other ideas, and thus we will be doing a session on mentoring younger testers and those looking to consider testing as a career. More when we do that session. For the first session that I chose to attend, I picked Christin Weidemann's "Being a Role Model", which dealt with a number of interesting topics and ideas about how we can get out of the bad habits and bad behaviors. we discussed ideas such as giving and getting feedback, enthusiasm, motivation, our behavior, and how to be a role model in specific areas; among other testers, as well as among non-testers. Being a role model does not mean that we are an expert, it means that we show where we can learn, where we can teach, and where we can admit our ignorance (because we are all ignorant about *something*). As an added bonus, I've been recording this session, so it's very likely this will become a podcast in the not too distant future :). My focus was to talk about the SummerQAmp initiative, and I shared some of the content that we had developed and structured for the "What Is Testing?" module (the introductory module for the SummerQAmp curriculum). After lunch, we held a plenary session on tester games and using them as coaching tools. Here's some pictures. I can't talk about the games themselves (well, I could, but then I'd have to kill you ;) ). The last segment I decided to record for today was a talk by Wade Wachs called "Auto Didactics Unite". It was based on the idea that we need to have the ability to teach ourselves before we are able to teach others. Wade was kind enough to let me record the conversations, so this will likely also become a podcast as well. And with that, we are bringing the fun for the day to a close. We have a dinner date in Saratoga, so with that, TESTHEAD is signing off for the day. We'll see what tomorrow brings for Day 2. I know my vote doesn't count but still. 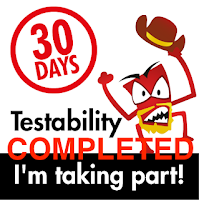 1) being more directed toward the current testers and a global community participating in Weekend Testing, it will have more immediate effects. 2) seems more interesting to me (I'll vote for it if I had the opportunity :)) I would love to (hear- Podcast :D) read more about it, what are the current approaches and what other ideas these Awesome group of people have about "discussing Software Testing with teenagers and young adults". I didn't even know that Software Testing can be adopted as a profession when I was doing my Bachelor of Science back in 2001-5 we only had a lecture or two about it and that's it. It would be great to learn all about it and eventually using that learning to tell students about it. I agree with Ahmed here. When I was taking CS and Software Engineering Courses, one course covered testing at all, and I don't even believe we spent more than 6 1 hour sessions upon it. As long as educators push the myth that testing is 'easy' and not worth their time, then young college students coming up will continue to be presented the same myths that some of us were back then. I don't know, and maybe you can ask Cem Kaner this, but does seeing a push or actual coursework or electives in testing at the college level really help much at all? Or could this be an area where we have to find other ways to spread the knowledge?